This is the official site for writer and game designer C.J. Carella. Here you will find information about past, current and future projects. New and old enemies return to threaten humanity. Can the United Stars of America survive a vast armada of marauding star barbarians? A new special ops unit, the Wraith Marine Regiment, may hold the key to defeat the overwhelming might of the Horde. To be released on March, 2019. New:To the Strongest is available for purchase here. The Prologue and four sample chapters of the novel can be found here. 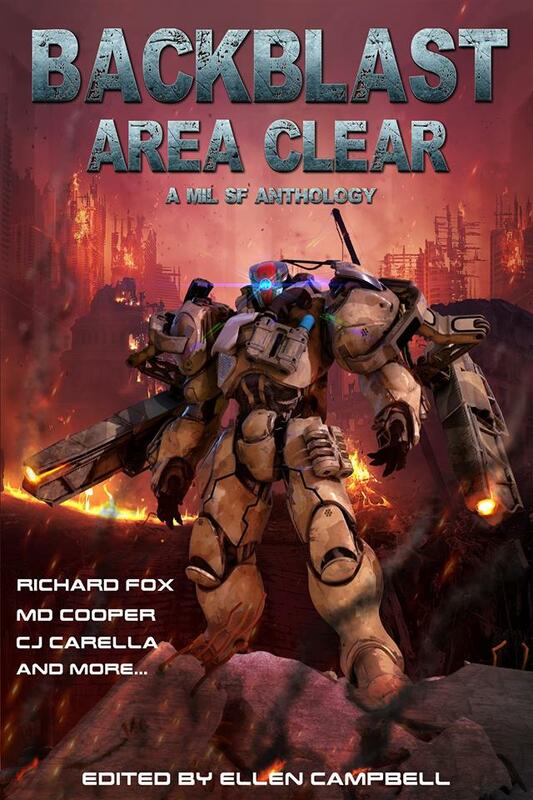 NEW: I have a short story on a military science fiction anthology, Backblast Area Clear. 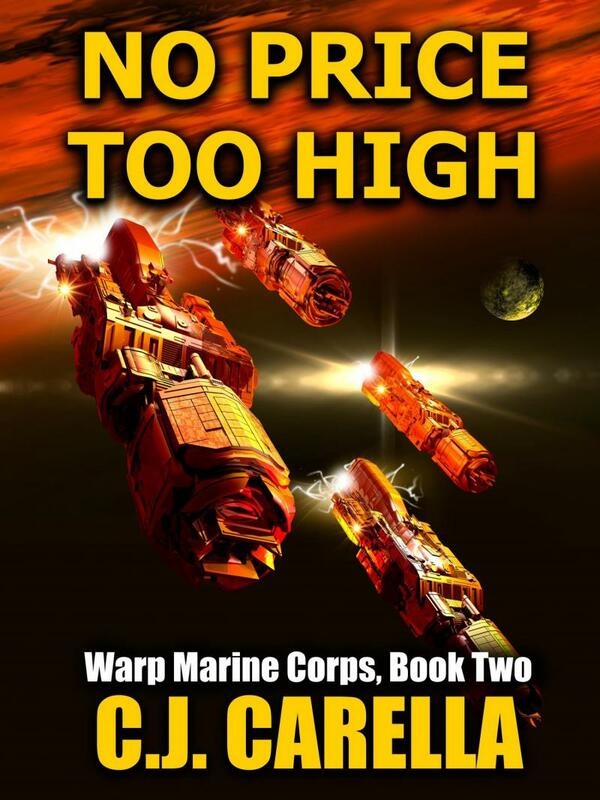 It's not set in the Warp Marines universe (it's more of an action hero and intelligent dinosaur against giant monster story) but I had a lot of fun writing it. Check it out here! Outlands Justice is available in ebook and print form! You can purchase the book on Amazon here. In the ten days since release, Outlands Justice has become the #1 Amazon new release both in the Alternative History and Steampunk categories! Sample Chapters are available here. Kathryn Herrera: She grew up hearing tales of her parents’ heroic deeds, but she never expected a dark force to destroy everything she’d known. Now she only lives for revenge, and will stop at nothing to destroy the man known as the Warlock. They once were Justiciars, defenders of a great realm, each gifted with unique abilities. An immortal from fabled Atlantis; a master of arcane sciences; a warrior princess with a taste for death; a Greek demigod; and a Fey sorceress. Most of them are shadows of their former selves, but they will ride forth once more and challenge the Warlock and his army of beast-men and demons. A place where refugees from a thousand broken Earths struggle to survive. A land where magic and technology fight for supremacy – or meld together with strange results. A fractured land where kingdoms and empires rise and fall, and outlaws and monsters prowl in the wilderness. 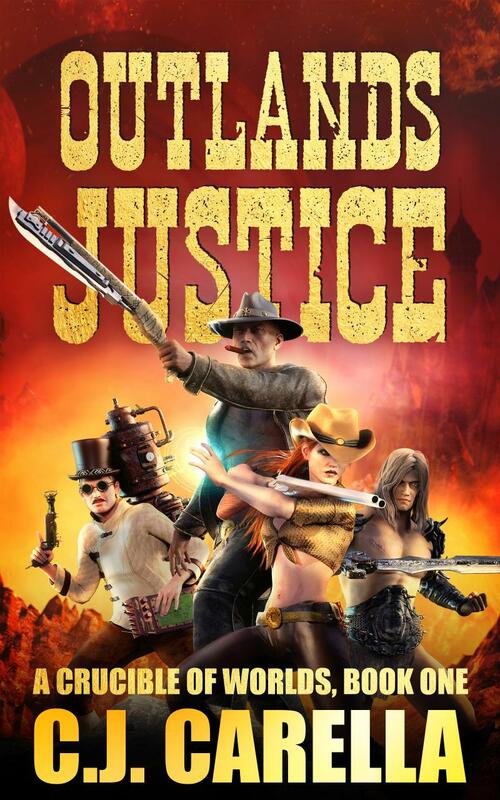 ﻿Outlands Justice, Book One of the Crucible of Worlds series, will come out in the Summer of 2018. 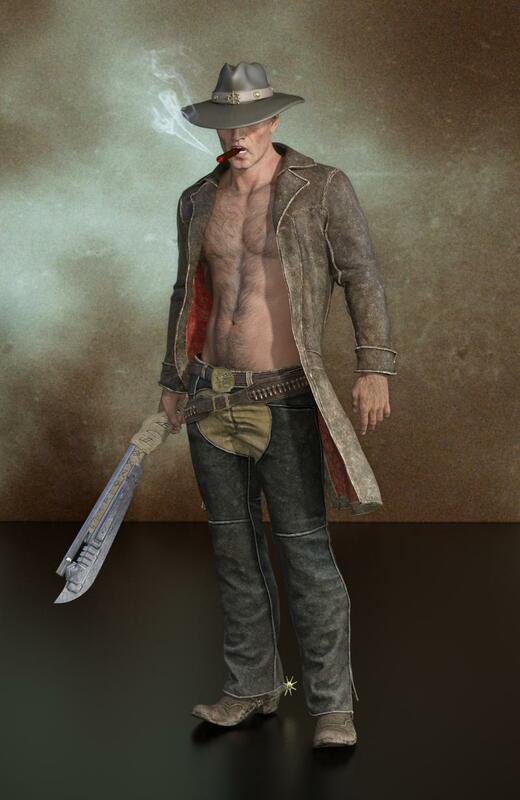 Two-fisted action and adventure across the Multiverse. The Many Worlds: Alternate Earths where history played out differently, magic or superhuman abilities exist, the future is here and humans must battle hostile aliens, or entities of myth and legend are alive and active in the affairs of humankind. Presented here are four tales of heroic action, epic fantasy, military science fiction and alternate history. A Land of Gods and Monsters: Will was a divorced, unemployed loser who lived only to play his favorite roleplaying game, until one day he died and woke up in the body of his player character. Trapped in a madman’s castle, can his now-real abilities help him survive? 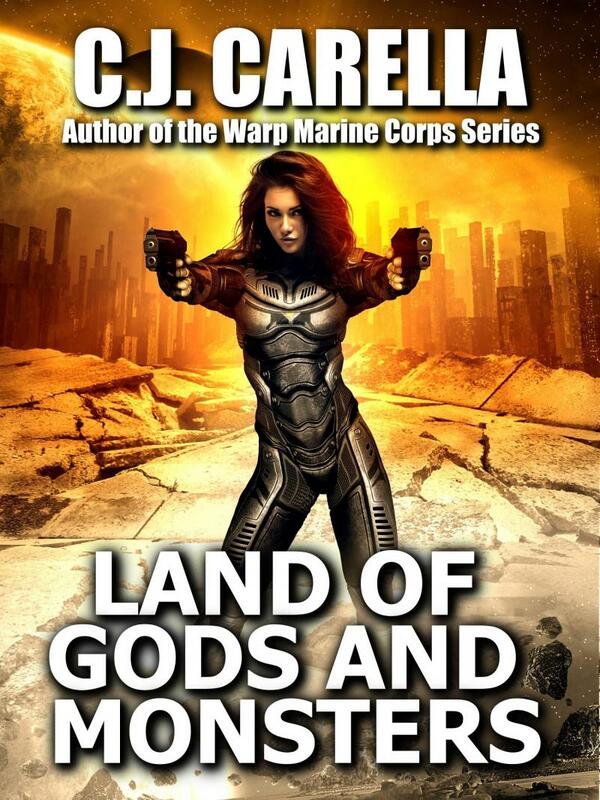 A Land of Gods and Monsters is a 30,000-word novella introducing a new fictional universe. 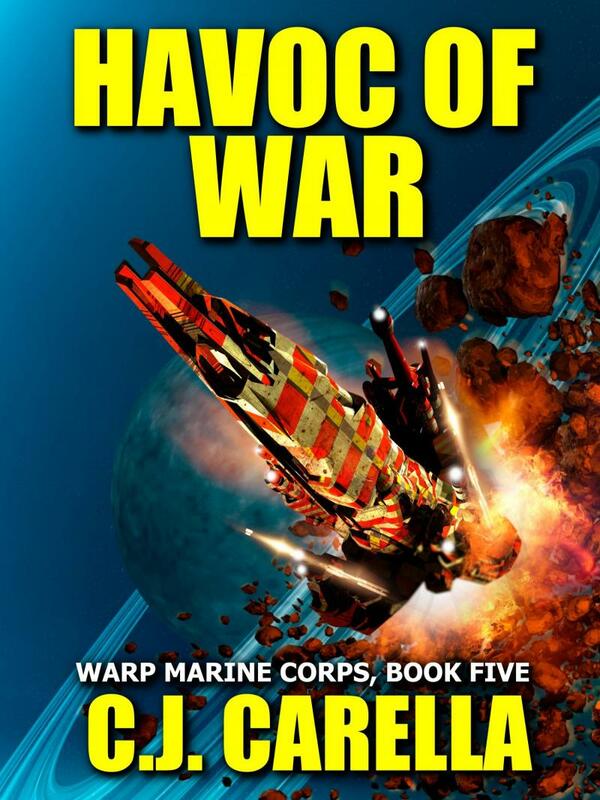 Lori’s War: When hostile aliens strike at a remote colony world, the fate of an entire town is in the hands of a teenage girl recovering from a terrible loss, and the town drunk – who happens to be a Warp Marine. This 7,000-word short story first appeared in the Galactic Frontiers anthology. Golden Horde: The year is 1968, and the US is mired in a war in Asia. But this war is being waged in China, and the military fields entire units of superhuman men and women who will pit their powers against a mad tyrant’s own Celestial Warriors. Set in the world of Armageddon Girl, this 18,000-word novella first appeared in the New Olympus collection and is being re-released with additional content and revisions. The Way the World Ends: When freak events – people from other times and place begin appearing all over the world – cause society to collapse, will a young boy manage to protect his family in the face of supernatural evil? This 3,000-word short story introduces the main character of the upcoming epic fantasy series by C.J. 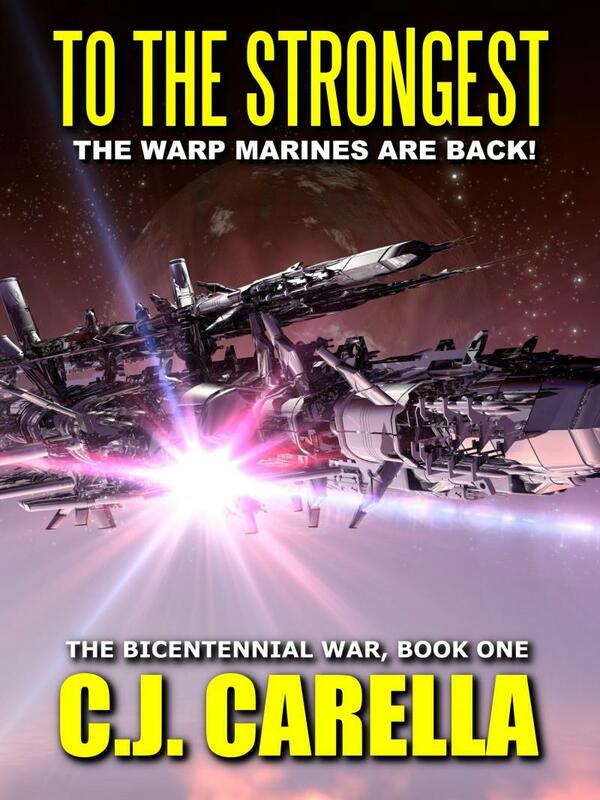 Carella, A Crucible of Worlds. The first novel of the series, Outlands Justice, will be out in 2018. ﻿Sample Chapters: The first two chapter of Land of Gods and Monsters are available here. Sample chapters are up at the link. 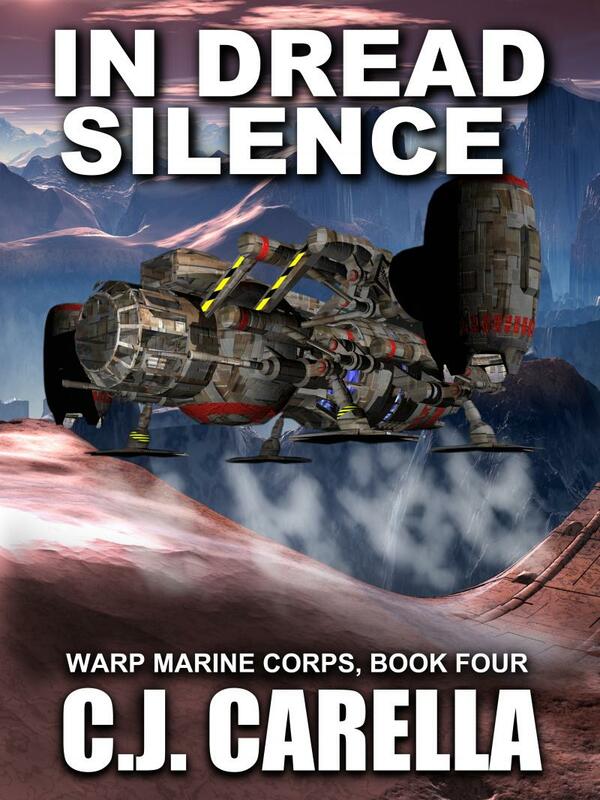 The fourth book of the Warp Marine Corps series is available in ebook format on Amazon.com. 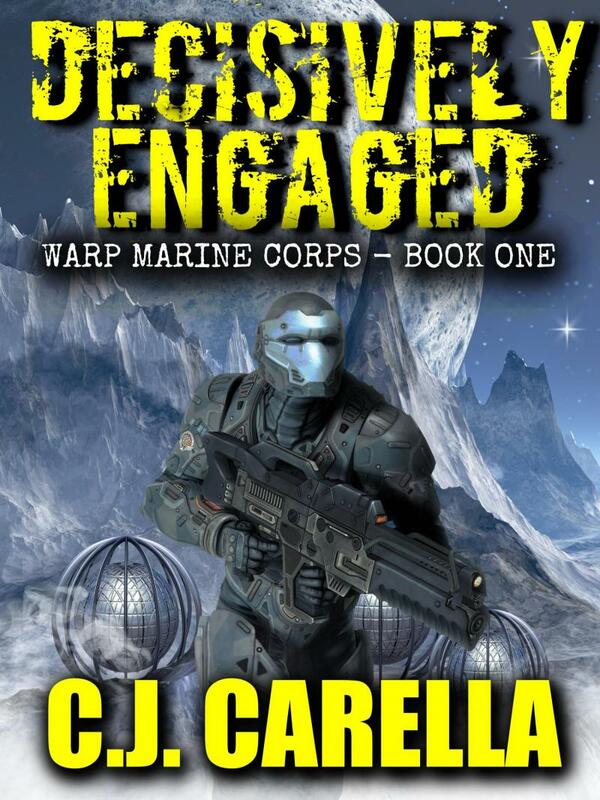 The sequel to Decisively Engaged is out! Best-Seller! 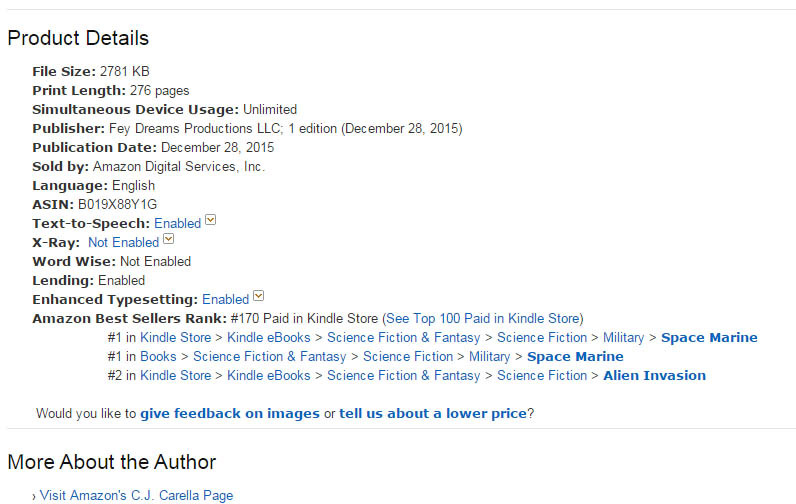 In just a few days, Decisively Engaged has become my best-selling title yet, having broken the 200-rank in the Paid In Kindle Store list and making it to #1 in the Space Marine category. Thanks to all the readers who made this possible! The United Stars of America. Born in the conflagration of unprovoked alien attack, the newest entrant to galactic politics took the few crumbs of hypertech gifted to it and ran with them, soon expanding over dozens of star systems and establishing a wide trade network, protected by its powerful Navy and the dreaded Warp Marine Corps. 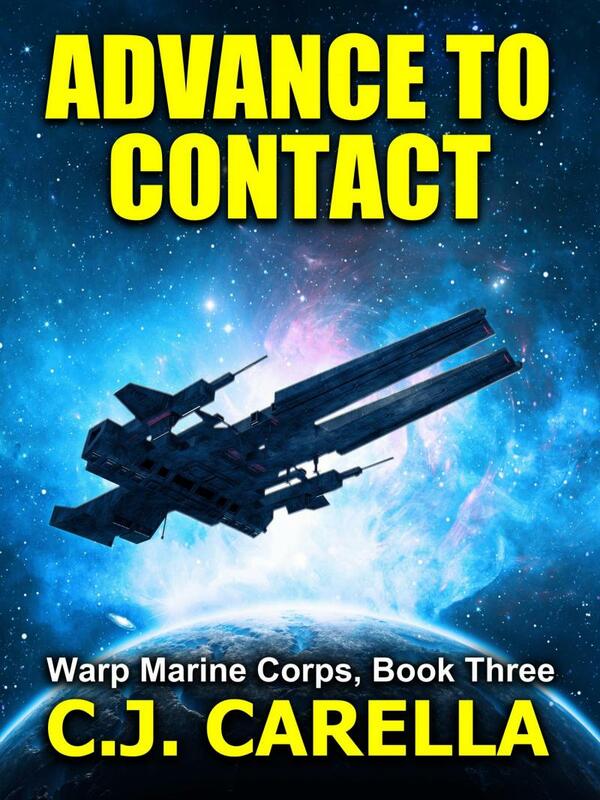 A single Marine platoon, tasked with protecting an embassy on a hostile alien planet. An embassy – and the human enclave around it – that soon finds itself surrounded by armed mobs baying for human blood. The Prologue and First Four Chapters of Decisively Engaged can be found here. You can read sample chapters here. 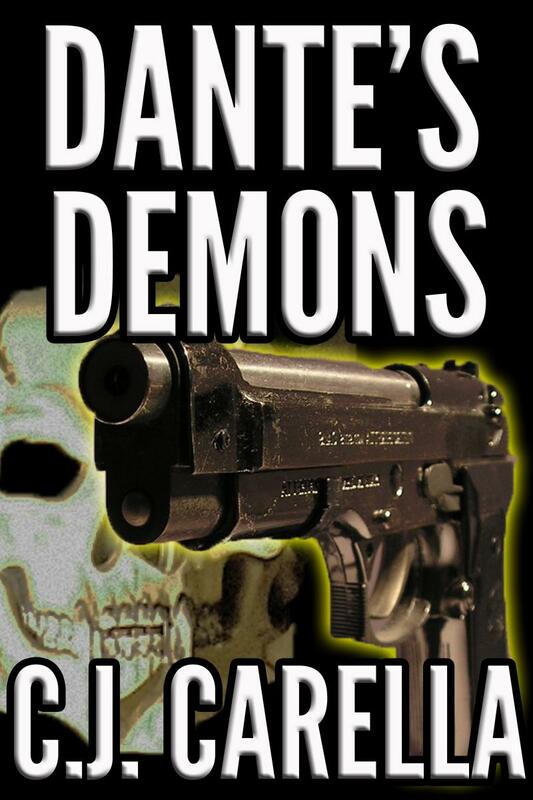 Dante's Demons is here! The first four chapters of the book are available here. The novel is available for purchase at this link. The book is available for the Kindle! You can purchase it here!. 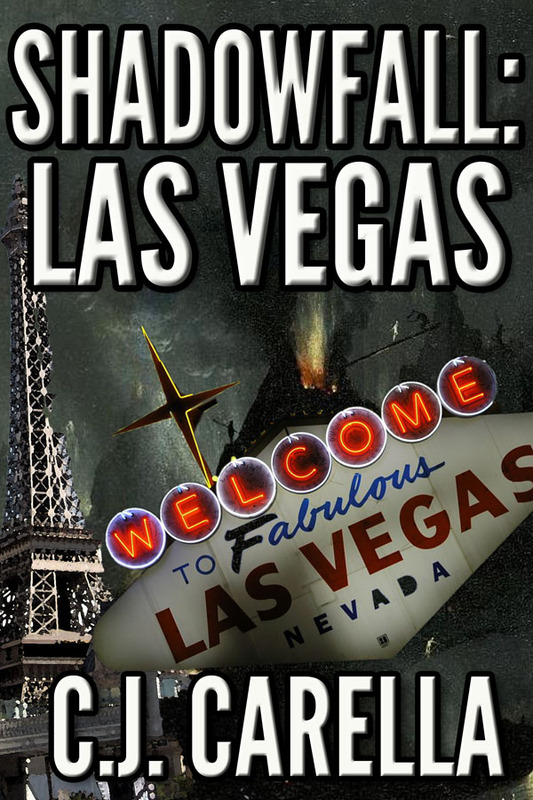 Sample chapters of SLV can be found here. Omnibus Edition: All three books of the New Olympus Saga have been collected into an omnibus edition. Apocalypse Dance: The third book of the New Olympus Saga is available! You can purchase it here. You can read the first four chapters for free right here. Bad Vibes: My submission to the Baen Fantasy Award (didn't win) is out on Amazon.com here. Doomsday Duet: The sequel to Armageddon Girl is on sale now! You can purchase it here. ﻿The print version is available here. You can enjoy the first four chapters here. New Olympus: The Armageddon Girl Companion Book, New Olympus, on sale now. You can purchase it here. The print version is available here. One of the short stories in the book, "The Red Baron's Last Flight" can be read for free here. Armageddon Girl: C.J. 's first novel, Armageddon Girl, was published on November 2013! You can read all about it here. And there is a companion gaming book too! You can read about that here. You can now order copies of Armageddon Girl online HERE! 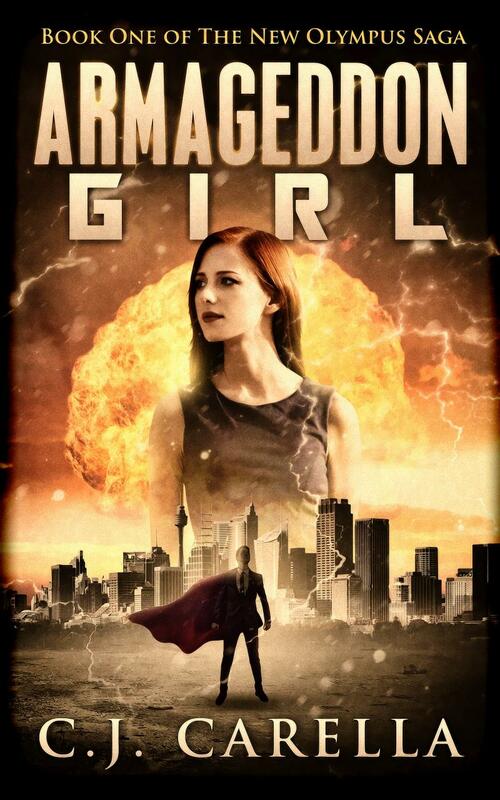 Armageddon Girl is now available for purchase for the Kindle format. C.J. Carella is a writer by vocation and a geek by choice. 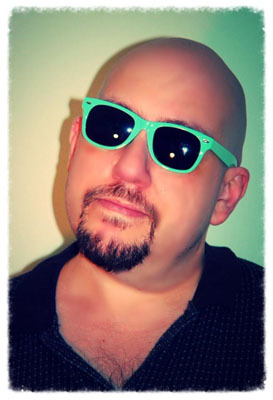 His first book was GURPS Martial Arts for Steve Jackson Games, and in the ensuing decades he's written over twenty roleplaying games books, including WitchCraft, Buffy the Vampire Slayer RPG and the Origins Award-winning Angel RPG. Armageddon Girl and New Olympus Copyright @ Fey Dreams Productions LLC. All rights reserved.